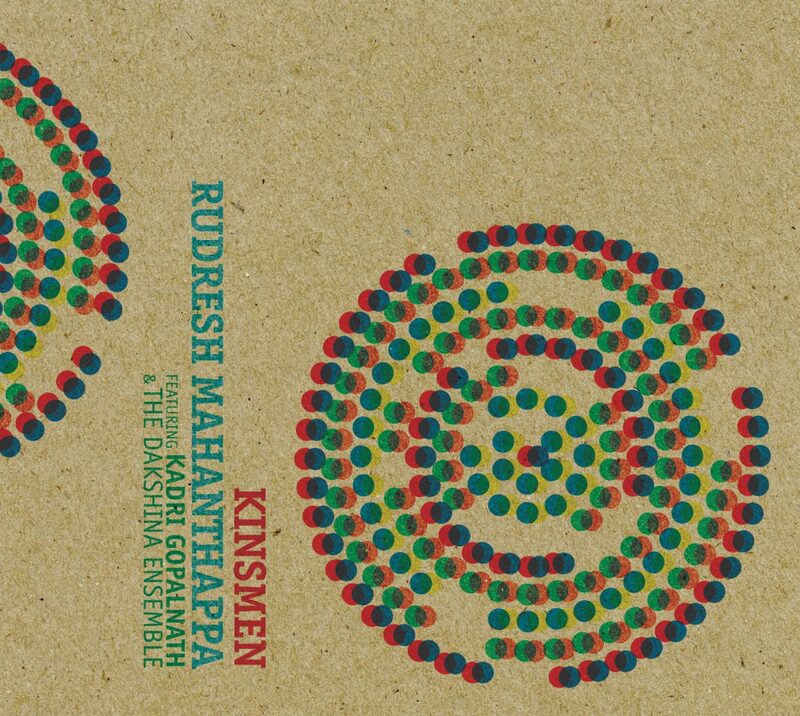 Kinsmen is a groundbreaking project by alto saxophonist Rudresh Mahanthappa that melds jazz with South Indian music into a single organic whole. Mahanthappa, recently named a Top 10 Alto Saxophonist in the 2008 DownBeat Critics Poll, is one of the most innovative young musicians in jazz today. Kinsmen is his collaboration with Kadri Gopalnath, a living legend of Indian music known as “The Emperor of the Saxophone”, a true innovator in bringing the saxophone to Indian classical music. The music on Kinsmen, featuring their co-led Dakshina Ensemble, is exemplar of successful multicultural, transnational collaboration. Utilizing his extensive knowledge of both jazz and the traditional melodic and rhythmic concepts of Indian music, Mahanthappa has masterfully provided a framework that has brought out the best in all the musicians, resulting in spectacular interaction and virtuosic displays from Gopalnath, A. Kanyakumari on violin and Rez Abassi on guitar. The band also features Poovalur Sriji on Mridangam (South Indian barrel drum), Carlo de Rosa on acoustic bass and Royal Hartigan on drums. For Mahanthappa, who grew up in Boulder, Colorado to Indian immigrant parents, the pull of Indian classical music didnt come until his college years, when he toured India with the Berklee College of Music All-Stars and was lucky to attend an all-night concert outside of Bangalore where he heard both Carnatic (South Indian) and Hindustani (North Indian) music performed by greats such as Parween Sultana and Chitti Babu. As a young jazz musician, Rudresh saw the parallels between Indian music and jazz with both being improvised art forms with inherently strong rhythmic propulsion. Though he grappled for a way to embrace his Indian-American identity through his music, Rudresh could not find a clear entry point as he had no awareness of any saxophone tradition in classical Indian music. Then one evening, moments after the conclusion of one of his recitals at Berklee, Rudreshs older brother gave him a CD (as congratulatory gift and as a joke) called “Saxophone Indian Style” by Kadri Golpalnath. A complete eye-opener, the CD provided a doorway into the realm of musical possibilities for Rudresh through which he could finally engage the music of his ancestry. A few years later, Mahanthappa managed to meet Kadri backstage at a Carnatic concert in Boston. Golpalnath was not only ecstatic to meet an Indian-American jazz saxophonist, but one of South Indian roots with a name that he deemed to have a powerful Hindu meaning Rudresh, in Sanskrit, refers to a fierce incarnation of Shiva who saved the human race and Mahanthappa is derived from the same roots as mahatma, or great soul. Though not trained in jazz, Gopalnath too saw the similarities between the art forms and was enthusiastic about the possibility of joining forces at some point. This became a reality when, with a commission from the Asia Society, Rudresh traveled to Chennai (Madras) in 2005 to work with Kadri at what would eventually become the music on Kinsmen. The piece received a world premiere in New York City at the Asia Society. After several months of working together, they collectively assembled the Dakshina Ensemble and premiered the piece in New York City in May 2005. In Kinsmen, Mahanthappa has effectively created something that both stretches the musicians while at the same time, enables the musicians on both sides to bring their best to the table. The music burns with passionate interplay: Mahanthappas biting attack intertwined with Golpalnaths staccato outbursts; Kanyakumaris slippery portamento and Abbasis Mahavishnu-like single note runs. Rather than Indo-Jazz fusion, the music harmoniously synthesizes the cultural and musical divide, creating a sound that truly transcends labels and genre.